The mission of the El Salvador Projects of the Palo Alto Friends Meeting is to raise the level of education for the young people of the poorest communities in El Salvador. We believe that education is the key to lowering various social problems while raising the community standard of living and self-esteem of the students. 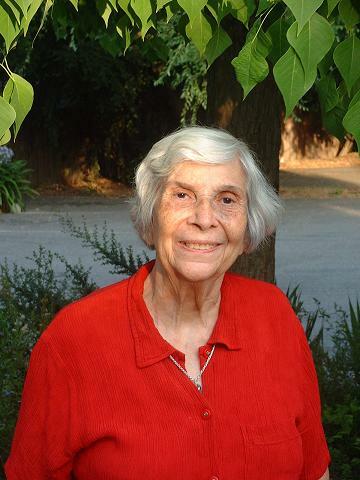 C armen Broz, the founder of the El Salvador Projects, began her work in 1990 as a volunteer organizer under the care of the Palo Alto Friends Meeting (Quakers). Today the program has expanded and Carmen’s son, Robert, is coordinating and administering the programs in El Salvador. He receives a small salary for his work. The Palo Alto Friends Meeting oversees his work and coordinates speaking engagements, project updates to our mailing list and fundraising activities in the United States. The El Salvador Committee of the PAFM has eight members. The projects have two main focuses. First, we raise money for K-12 programs. These programs provide equipment such as computers, sewing machines, baking equipment, etc. as well as school supplies. We also help with some teacher aid and librarian salaries. Teacher aids receive from Palo Alto’s projects $1000/year and part time librarians receive $500/year. We also support Alternative to violence workshops in coordination with Friends Peace teams and occasionally provide workshops to build fuel efficient wood burning stoves. The other focus is on providing university level education for qualified students. Our in country director matches up donations from individuals or groups of supporters with students applying for financial aid and we ensure that there is communication both ways at least twice each year. These letters and photos from the students serve as an important bridge toward building understanding between our two cultures. It costs approximately $1200 per yearfor our program to educate one university student. While there are some individuals who are able to support a single student we also have several groups that have joined funds to support a student. Since 1999, when our university student loan program was started, we have graduated just over 100 students as teachers, nurses, technicians and students with B.A. and B.S. degrees in everything from computer science to industrial engineering. In 2006 our first student with a B. S. degree graduated from the university. Javier not only graduated a semester early but he graduated top in his class. In 2017 we are providing financial support to 17 university students. Part of our support includes maintaining two student houses, one in San Salvador and one in San Miguel for our students from Morazan (the poorest department in El Salvador). The house in San Salvador is now jointly financed by 5 educational programs, including Palo Alto and the municipality of Suchitoto. In 2013 eighteen students from the different programs reside in the new house which is conveniently located only five blocks from the National University (UES). In 2014 because of a reduced budget we had to reduce our total number of university students to a total of just 17 which ment we could only select 3 new students from almost 20 aplications. Fortunatley we will have sever students finishing their studies so with luck and continued donations we should be able to support a similar number of students in 2015. We closed our student house in San Miguel in 2015 as we only have three current students from Morazan and only one was using the house in 2014. Our student house in San Salvador is now cofienanced by 4 different groups including the city of Suchitoto, in 2017 we have a total of 21 students all from Suchitoto who use the house. With some extra support from two of the groups we have been able to buy new bunk beds, new chairs and have 4 new table made to be used as study areas. In 2015 we purchased more beds and a couple of computers. Many of the original furnishings were purchased in 1999 when we first opened studen houses in the city. With the new furnishings the house is much more useful and comfortable for our students. In 2017 we completed renewing the matresses for all the bunk beds and have added a new PC as well as some dressers for 3 of the 5 bedrooms. Secure online donations can be made using the PayPal Donate button below.